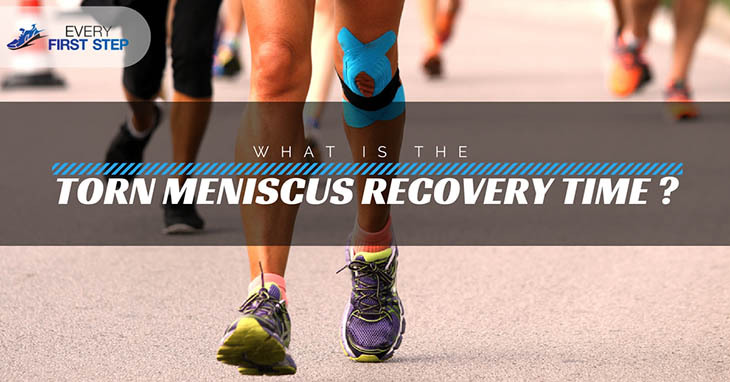 →What Is The Torn Meniscus Recovery Time For Athletes? According to an internal 21 season NBA study, for every 10,000 practices and games for each athlete, there were 1-2 meniscus injuries with an average return to a playing of 6 weeks. Like every athlete, I have always had this fear of ruining my life because of an injury. Reading the above survey gave me a huge sense of relief. I have been hearing my knees pop every time I squat and fear I have a meniscus tear. I need some motivation before I go to the orthopedic to assure me that I will be back on my feet in no time. In this article, I will answer the question “What is the torn meniscus recovery time for athletes?" Partial meniscectomy - This procedure is often used for flap tears, radial tears in the inner area. During arthroscopic surgery, the damaged part of the meniscus is removed. Meniscal repair - this is a common procedure for younger patients with tears located in the peripheral 2/3 of the meniscus. So how long does it take to recover from these three types of surgical procedures? I was really hoping the answer would be at most a month but what I discovered made me realize the seriousness of the injury no matter how common it may be. During the initial stage of recovery, a ​knee brace is required for all weight-bearing activities. Also, flexing the knee more than 90 degrees is discouraged. ​It is critical during this stage that no forced flexion is done and high impact activities or workouts are completely avoided. Instead, focus on gaining full control of the knees. ​If any soreness is experienced during this phase, it should resolve within a day. Although the knee is recovered, it is best to still avoid end range knee flexion. ​During the phase, I of recovery, no weight-bearing with flexion greater than 90 degrees should be conducted. The knee brace should be worn for at least 6 weeks after the operation and no tibial rotation should be done for the first 8 weeks. ​After six months, it is important that a maintenance program for strength and endurance is maintained. Move about as soon as possible and as much as you can tolerate after surgery. Movement minimizes muscle entropy and minimizes the risk of blood clots. Don't compare your recovery with other people. Each of us has unique bodies and respond differently after surgery. After being quite disappointed with the long period that was required to recover from meniscus surgery completely, I finally found some good news. It is possible for the meniscus tear to heal without surgery. If the tear happened because of bumping the knee or lifting heavy objects, it is quite possible that the tear will recover on its own without surgery. However, if the injury is a result of high impact sports, it may be more severe and require surgery. The location is another factor to consider. If the tear is in the inner part of your meniscus, it is harder to heal. Injuries that are in parts of the cartilage with better blood supply may be more likely to heal even without surgery. (10) To determine where your injury is, read the recent article I wrote about torn meniscus tests. The degree of pain and degree of loss of function are other determining factors that will affect whether or not surgery is required. A torn meniscus may be considered one of the most common injuries in athletes; it does take a few months before you can get back to running. For both meniscectomy and the meniscal repair surgery, it may take up to three months before full use of the knee is achieved. If a meniscal transplant is performed, the recovery time may double to up to six months. I may not be a professional athlete but I love my running so much I dread the thought of not being able to run for months at a time. On the other hand, it's very comforting to know that so many athletes especially professional ones suffer from meniscal tears at one time in their career. Whatever my fate becomes, I know now how valuable my knees are.